It is never too late to start saving for retirement, and earlier this year we even learned that a person with no money set aside at age 50 who finally begins maxing out his or her annual 401(k) contributions can still amass $1 million by age 70. A million dollars, though, is not the substantial sum of money that it once was, and many Americans may be shocked by how quickly they can go through such a nest egg. One thing that can wind up eroding a person’s retirement savings a lot faster than anticipated is healthcare, and even wealthy individuals recognize that they cannot afford to ignore potential old-age medical expenses. Indeed, an earlier UBS survey found that nearly seven in ten U.S. investors with at least $1 million in assets cited healthcare costs as their biggest retirement concern. 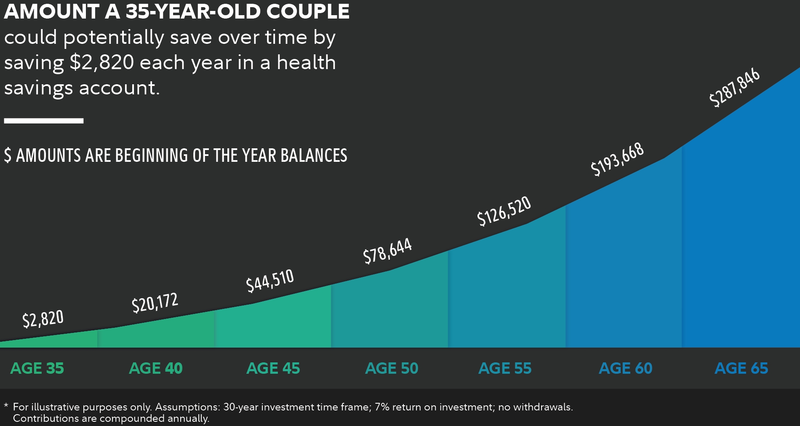 Those worries are understandable given that Fidelity Investments this month estimated that a 65-year-old couple retiring in 2019 will need to have around $285,000 set aside just to cover their likely healthcare costs in old age. That is a 2 percent increase from only twelve months ago and a 78 percent jump since 2002 when this study was started. Moreover, the headline 2019 forecast is derived by adding together the expected medical outlays for a 65-year-old male ($135,000) and female ($150,000), and each of those individual numbers is nearly as large as the combined couple’s total from 2002 ($160,000). What is worse is that these estimates do not even take into account the costs of over-the-counter medications, most dental services, and long-term care. The researchers added that additional expenses are likely if retirement begins prior to Medicare eligibility, something which 56 percent of respondents in a 2018 Fidelity survey said they could not avoid. Nearly one-third of those individuals reported that they retired sooner than expected due to a health event that affected them or their spouse, and 49 percent of early retirees said that they had to rely primarily on their personal savings to cover the out-of-pocket premiums, co-pays, and deductibles associated with insurance coverage. All of this only increases the importance of setting aside as much money for retirement as possible.